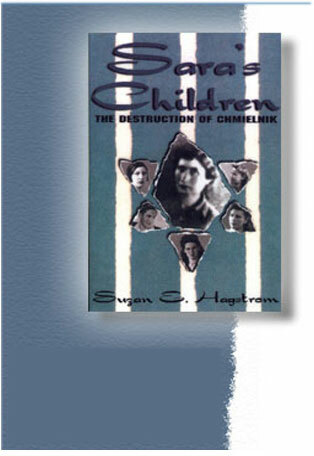 Based on interviews and library research, Saras Children records the remarkable true story of five siblings  Polish Jews  who survived Nazi Germany's death camps. Author Suzan E. Hagstrom met one of the siblings while working as a news reporter for The Orlando Sentinel in Florida. In 1990, she was writing a comprehensive Sunday magazine feature about the Holocaust Memorial Resource & Education Center of Central Florida and learned about the astonishing personal history of Helen Garfinkel Greenspun, a museum volunteer. Not only Helen but also her brother and three sisters survived several years in ammunition factories where they were exploited as slave labor, transfer to worse concentration camps in Germany and a death march the final month of World War II. The five Garfinkel siblings, who live in the Orlando, Florida, and Detroit, Michigan, areas, rebuilt their lives in the United States. The family's saga became a spare-time book project spanning seven years. Ronald Seagrave of Sergeant Kirkland's Press in Spotsylvania, Virginia, recognized the Garfinkels survival as a one-in-a-million story, a footnote of hope to World War II's catastrophic sequence of events. Published in 2001, Sara's Children is available through amazon.com and barnesandnoble.com and can be ordered through any bookstore. The ISBN, or International Standard Book Number, is 1-887901-28-0. Ingram, Baker & Taylor and Unique Books are among distributors. Sara's Children proves that real life is more amazing than anything we can imagine. Its publication shows that meaningful stories that are not deemed commercially viable can see the light of day. Author Hagstrom, now a freelance writer in San Diego, California, has no literary agent or publicist. Publisher Ronald Seagrave, who happens to specialize in the U.S. Civil War, has no special literary connections but possesses a great passion for history.